"Would just like to say a huge thank you to you guys, you made our wedding day fantastic and got everyone going from the start at the reception drinks. It really set he tone for the whole afternoon and evening and we would highly recommend you to anyone who wants something different, funky and classy at their wedding receptions drinks, party etc. Thanks again." 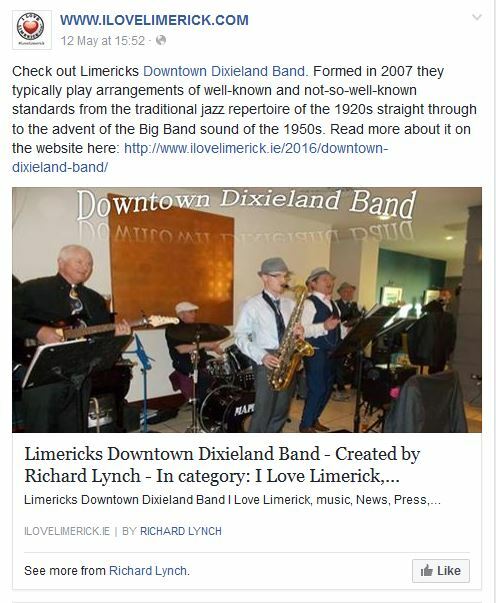 ''What a lovely afternoon listening to a wonderful session of jazz with the Limerick Downtown Dixieland Band in Mother Macs bar led from the clarinet by John Doyle. 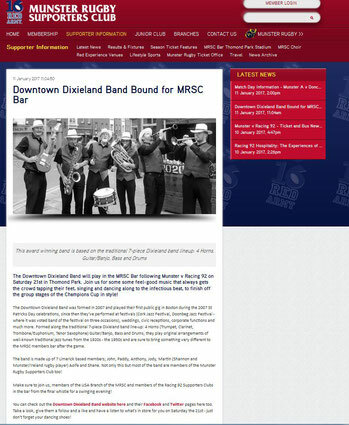 It was great to hear all the old "up the river from New Orleans" Dixie tunes I grew up with playing with my Dad and uncles in Galway and so delightful to see a jazz band made up of the Doyle's, one of Limerick's most well known musical families ;It brought back some lovely memories. 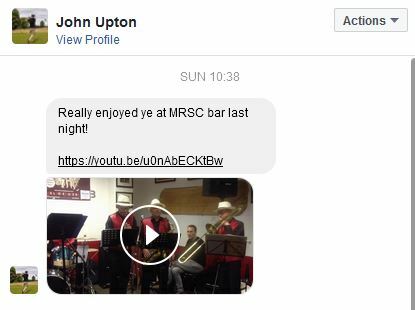 Try and catch them on the second Sunday of each month for some great foot stomping tunes'' Michael Dooley.